Ushuaia is the southernmost city in the world and the gateway to Tierra del Fuego National Park and Antarctica. Home to magnificent scenery, a former prison, blustery winters, and a few glaciers, there’s lots of options for adventurous activities. This former penal colony is now a big tourist town, so you’ll find lots of hikes, tours, ski trails, and boat trips to fill your days. Food at the end of the world isn’t too bad either, as traditional Fuegan cuisine includes grilled local lamb and fresh seafood from the surrounding waters. Another one of the area’s big draws is the wildlife, so take some time to check out the sea lions, penguins, dolphins, beavers, and amazing bird life while you’re here. Sail to the end of the world on a boat tour that’ll take you to the most iconic sites and scenery of the Beagle Channel. Like Charles Darwin, you’ll see lots of wildlife from the boat, swinging by Isla de Lobos and Isla de Pájaros for sightings of sea lions and various birds. Some folks get lucky, spotting dolphins and even whales along the way. You’ll also pass the Faro Les Eclaireurs, the landmark red-and-white lighthouse which is still in operation. Some boats allow you to disembark for a stroll around Bridges Island to see the flora and fauna as well as the Yámana archaeological ruins here. Big long distance cruises will even take tourists around Glacier Alley and Cape Horn. Depending on your preferred method of transport, cruise ships, sailboats, catamarans, and even kayaks are on offer at the docks in Ushuaia. The Tierra del Fuego National Park and archipelago is renowned for its dramatic scenery, waterfalls, lakes, snow-capped mountains, and glaciers (and also for being the southernmost national park in the world). You can experience lots of quiet beautiful walks around the park or tour with a guide who can tell you more about the local wildlife, landscapes, and the ancient Yámana people who lived here. Hike to peat bogs, stop at viewpoints of the Beagle Channel, or climb Cerro Guanaco. Walk around the edges of lagoons and rugged beaches along the Seaside Path, or take the Hito XXIV trail along the shore of Lago Roca where families come to picnic. You can also kayak around in the lakes or spend the night at campsites like Ensenada, Pipo, and Lago Roca. The oldest estancia (ranch) in this region, it was founded by an English missionary and this 50,000 acre farm is still run by his descendants today. Visitors can take guided tours of the land to see the terraced gardens and roaming cattle, and if you feel like splurging you can even spend the night here (for about $300). Travel the 40 miles (64 kilometers) from Ushuaia by car or bus, or take a boat like lots of tourists who want to see the penguins of Isla Martillo or the sea lions of Isla de los Lobos on the way here. 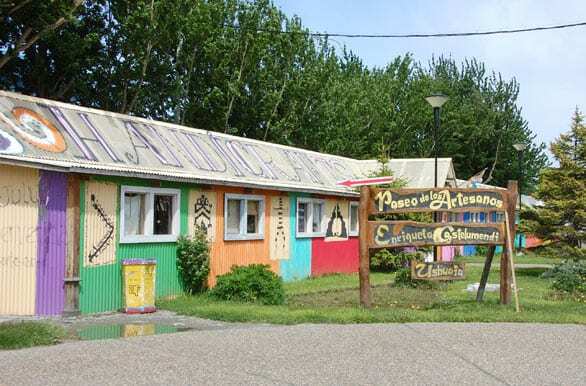 Have a meal in one of their tearooms overlooking the Beagle Channel and then wander the rooms of this historic estancia. If you’re up for some skiing, check out this family-run resort near the end of the world that’s known for having one of the longest ski seasons in all of South America. With over 26 trails and some off-piste sections, it’s perfect for all skill levels and you might even see some professional teams training here. Cerro Castor has modern lifts, good infrastructure, ski and snowboard instructors, and it’s only 16 miles (26 kilometers) away from Ushuaia. There are places to eat and drink on the mountain, and even if you don’t ski the views here are overwhelmingly beautiful. If you want to see penguins in their natural habitat, then you’ll have to head to this island for one of the must-do activities in Ushuaia. Arrange a tour and walk amongst the colonies of Magellanic and Gentoo penguins that live here on Isla Martillo. Make sure that the boat you choose has a zodiac that lets you out on the island instead of just cruising by. You’ll get up close to several of these smaller varieties of penguins, who don’t seem to mind visitors – they just carry on waddling around as if you’re not there. If you’re lucky, you might catch a glimpse of some baby penguins or even the odd King penguin. Ushuaia is a tourist town, so wander the streets and watch all of the frenzied folks who are here for their trips to Antarctica as they stock up and prepare for their journeys. Hit the waterfront and check out the fishing boats, or stop for coffee at one of the many cute shops around town. You’re in the Patagonia – Argentina’s heartland for craft beers – so you’ll be able to find a good range of microbrews here too. Head to Almacen Ramos Generales, a general store where locals hang out, to see the quirky historical memorabilia, books, and antiques that decorate the place. Grab a draft beer – a cold Beagle poured into a penguino pitcher – or glass of wine while you enjoy the atmosphere. They also serve light fare and baked goods. Visit this spectacular, blue-green glacial lake by trekking there along a muddy trail to get there. Head straight to the start of the track by car or bus. It’s a relatively easy hike, and you don’t need a guide as the trails are well marked – just be prepared for the mud and peat bogs. You’ll cross streams, pass beaver dams, and meander through ancient forests en route. It’s about two hours each way, so bring a picnic (and maybe a bottle of wine) to enjoy once you get to the lake. You can even bring a tent and camp out here in pure tranquility if you want to spend the night! The southernmost train in the world, it was originally built to transport timber to the prison in Ushuaia, but now tourists can ride the rails. It’s a one hour journey to the national park from the station located 5 miles (8 kilometers) outside of town. Along the way a bilingual guide will explain the history of this “Convict Train” as you cross over the Pip River, through beech forests, and past the Macarena Waterfall. There are five services daily, and you could take the morning train, hop off and walk around in the national park, and then take the evening trip back. Seats range from tourist class to Presidential coaches with drinks, snacks, and VIP service. If you’re into trekking, this is a budget-friendly (free) hike that takes you up close to the Martial Glacier just outside of Ushuaia. You’ll have amazing views of the city, mountains, and the Beagle Channel as you pass streams and wooded areas until you reach the end of the trail just below the glacier. The route starts at a tea house where you can have a hot drink or meal, and then proceeds steeply upwards, lasting a total of about four hours. You can get a taxi to the trailhead or walk there from town (it takes about 40 minutes), and then it’s your choice whether you want to do the moderate or difficult hike up. Everybody loves this place, and it’s a must-do to understand the history of Ushuaia and life at the end of the world. Set within an old prison, the museum provides super interesting information to guests in the form of an audio tour, wax figures, and a path painted along the floor that you follow. Visitors roam from prison cell to prison cell, learning about native people, early settlers, and Antarctic explorers. 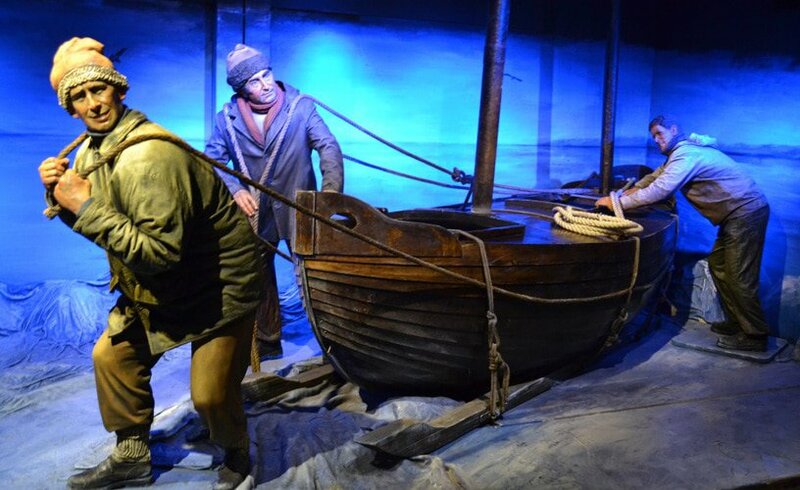 Find out how people survived in the harsh winters here, learn about some famous prisoners, and take pictures with the wax figures in their cells. There’s also a gift shop, cafe, and garden here that are worth a visit. Fuegan cuisine entails tons of seafood from local waters, like sea bass, king crab, octopus, and mussels, and it also incorporates traditional grilled lamb and other local ingredients. From the especially fresh seafood to the very Argentine asados filled with premium cuts of red meat and red wine, you can have it all here. Eating in Ushuaia is not cheap, but you’d be surprised at the number of high quality restaurants in town. 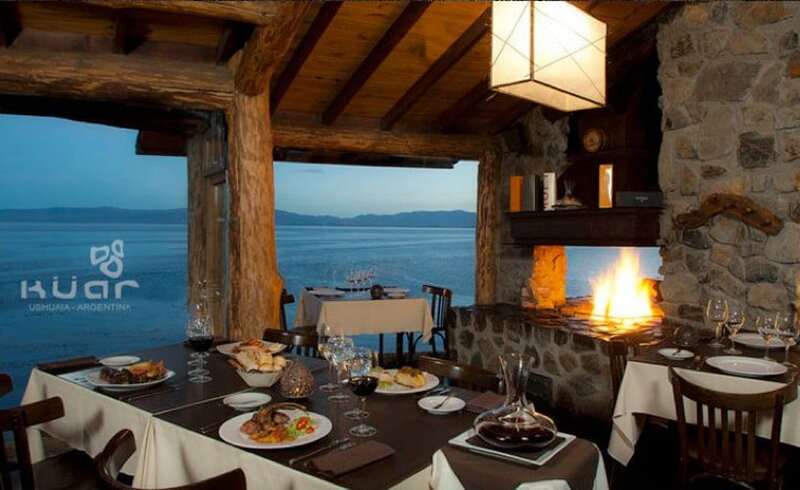 If the ambiance and views are important to you, try the waterfront dining at Reinamora and Kuar. For incredible refined seafood, check out Kaupé, and for a bit of everything, try Kalma, Chez Manu, or María Lola. They’re all pretty popular, so you may want to make a reservation! Just next to the port and the tourist information office, you’ll see local artisans and vendors plying their colorful wares. Do your souvenir shopping here or just have a wander through the 48 stalls that contain a range of things like paintings, woodwork, textiles, leather, and ceramics. You’ll get the feel for local handicraft styles and maybe even catch some craftsmen making things on-site. You’ll know you’re there when you see the colorful sign. If you want to say you’ve officially been to the end of the world, then head here for the coveted photo with the sign that says you’ve reached the end of the Pan-American Highway (and how many miles away you are from Alaska). Get here early to avoid the busloads of tourists that want to take this same photo! Once you’ve reached the end, you can actually keep going to explore little trails through the forest and along the coast. This bay and the fjords around here were carved by glaciers long ago, and now it’s possible to hike along the water’s edge and spot otters, dolphins, and the grass-covered mounds of mussel shells and bones left here by the Yámana people. To discover these two magnificent lakes that lie within the southernmost Fuegian Andes, book a tour or drive north of Ushuaia along the Pan-American highway which cuts through peat bogs and beech forests along the way. Lago Escondido is located at the foot of the Garibaldi Mountain Pass and at the lake you can do some great hiking or fly-fishing. Lago Fagnano is enormous and it’s located along the Magellan Fault – part of it actually belongs to Chile. Check out beaver dams, take photos, pack a picnic, or go camping around these lakes. Or you can just book a guided tour that will stop along strategic viewpoints of each during a full-day outing. Learn a little more about the city’s history at the Museo Maritimo, which is actually four museums all housed in the former prison complex which was closed down in 1947. Tourists can check out the Maritime Museum, the Marine Art Museum, and the Antarctic Museum, but the main attraction is the Prison Museum. Ushuaia basically exists because it was developed as a penal colony for re-offenders in Argentina, with many prisoners shipped down from Buenos Aires in the early 1900s. Part of the original prison has been left intact for tourists to explore and learn about famous prisoners and infamous punishments, and they can even get a feel for life in an unheated prison cell.